The idea that global development goals need a Global Partnership to help deliver them is not new: the eighth Millennium Development Goal was explicit about the need for just such a partnership as a means to the ends of Goals 1-7. This meant that MDG8 was always the odd one out among the MDGs: concerned with the ‘how’ rather than the ‘what,’ and with what happened at global level rather than on the ground in developing countries. It was also notoriously difficult to measure in comparison with MDGs 1-6, including at the level of its six subsidiary targets (see box below). Progress on these six areas has been mixed. Debt relief probably represents the biggest success story among the areas covered, with debt service ratios now at a quarter of their 2000 level, and low income countries’ debt as a proportion of GNI falling from 69% to 29% over the same period – although there has also been widespread concern that funding for debt relief came at the expense of aid flows. On trade, while the Doha round has remained stalled, things have improved for both developing countries generally and least-developed countries specifically, at least in terms of duty-free market access and tariff barriers (although non-tariff barriers such as rules of origin are the subject of increasing concern). Least-developed countries (LDCs) have also benefited from increased aid commitments, although total official development assistance levels have been in decline since 2010, with flows to LDCs and to Sub-Saharan Africa falling significantly faster than aid as a whole. Access to medicines has seen some progress, with global measles vaccinations increasing from 72% to 85% between 2000 and 2010. On the other hand, there has been little improvement in the availability and affordability of essential medicines, despite moves towards tiered pricing by some drug companies. Developing country access to information and communication technologies (ICT), finally, has surged since 2000, with cellular phone subscription coverage increasing from 4% to 80% of people in developing countries between 2000 and 2011, and internet access increasing from 1.5% to 24% of the developing world over the same period. However, the role played by MDG8 in making this happen is “particularly tenuous,” with donor financing playing only a very small part in driving investment flows. More broadly, MDG8 can also be criticized for what it omitted. It seems odd in retrospect that technology was addressed in the specific areas of drugs and ICT, but not in areas like agriculture, infrastructure, or energy. Cross-border dynamics relating to migration, remittances, tax havens, and illicit financial flows were all also overlooked, as were broader issues of global macroeconomic policy. 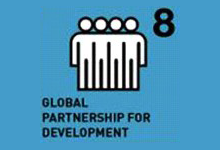 The fact that sustainability was excluded from the MDG on Global Partnership seems especially significant in retrospect. True, environmental concerns had their own goal (MDG7). But the implication of this framing appeared to be that sustainability was something to be achieved within developing countries – rather than something that entailed developed country responsibilities to reduce their emissions or address their unsustainable consumption and production patterns, as part of a Global Partnership. Yet despite these shortcomings, MDG8 still mattered. It represented formal recognition of the fact that developed countries have critical responsibilities on development – and that these extend beyond aid spending alone. It was also the only MDG to acknowledge explicitly the contribution that the private sector can make to development, albeit only in access to medicines and ICT. Above all, it pointed to the need to make globalization work for the poor – an idea that remains as relevant today as it was then.